Doug Robertson named this canoe BOING for the noise it will make if all the strips come apart. 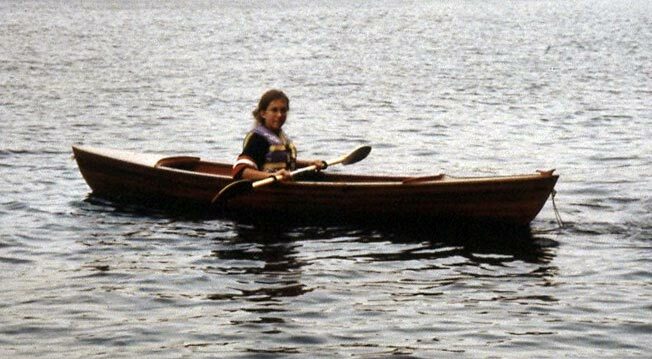 It is a modified Bear Mountain Rob Roy Canoe. The 13' design was shortened to 11' 6". It weighs 26 pounds. Doug used cedar bead and cove strips covered on the outside with 5 oz fiberglass. Doug completed the boat in June 2002, and uses her on the waters of Lake George, NY and Brantingham Lake, NY.